HomeSpecials and DealsDid you know we make our own precuts? Did you know we make our own precuts? We are on COLOR overload and want give you all a chance to win a little color. Did you know we make our own precuts? We have hundreds of precuts that we make in house that you can’t find anywhere else. TO ENTER: Head on over to facebook and find this post. Then, L-I-K-E, S-H-A-R-E, & C-O-M-M-E-N-T what is your favorite cut (Fat Quarter, Layer Cake, Jelly Roll or Charm Pack) and collection. We will choose one lucky winner Tuesday night to choose a Southernfabric Layer Cake or Jelly Roll of their choice. Some of our fun pre-cuts that we make that you can’t find anywhere else. I’m playing ccauhtp on blog reading and so sorry I missed the vote. But love your quilt backs. It takes time to make backs like that – and it’s art for both sides of the quilt. I often turn my quilts over and they’re pretty plain on the back. Also love the ME quilting. At our LQS, they have a beautiful quilt that was pieced and basted and then each block was quilted in the machine. One just has to be careful to manage the weight of the quilt so it doesn’t affect the movement of the embroidery machine. I am like you that I like the continuous designs too. EmbLib has some good ones. I love jelly rolls, though I’m also very partial to a charm pack too! Anything by Bonnie and Camille (or your versions of them) are just wonderful. I am not on FB either. It’s hard to choose a favorite pre-cut but I’d have to say fat quarter bundles and singles because they are more versatile than charm packs – my second favorite. I’m in the same boat as Anita – just not a fan of Facebook. 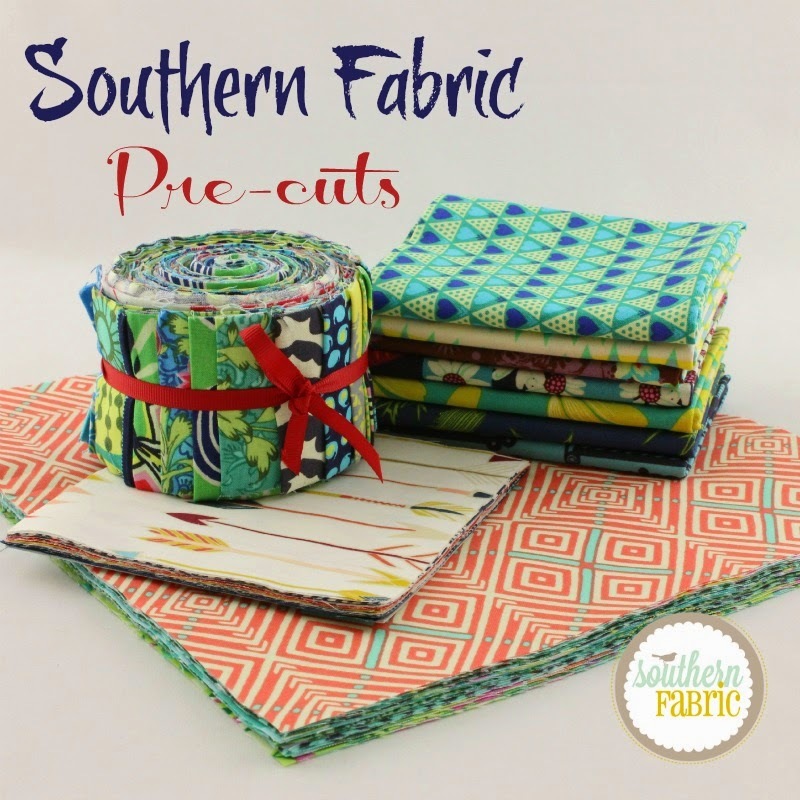 However, I can tell you that my favorite pre-cut is the half-yard bundle and my favorite collection (this is always the hard part) is Dear Stella’s Zig Zag. Since I am not on Facebook, I will leave a comment here: My favorite pre-cut is the Jelly Roll.